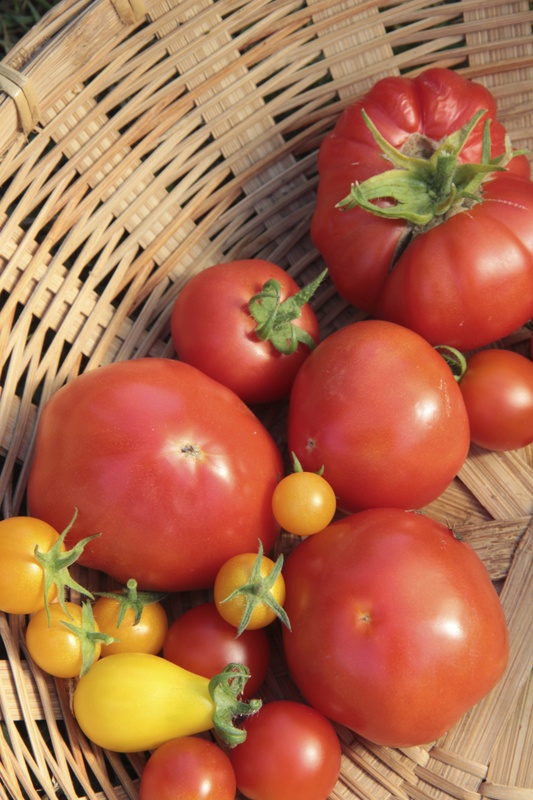 On my early morning visit to the greenhouse, I found all varieties of tomatoes producing well. It’s the season for lots of caprese salad! 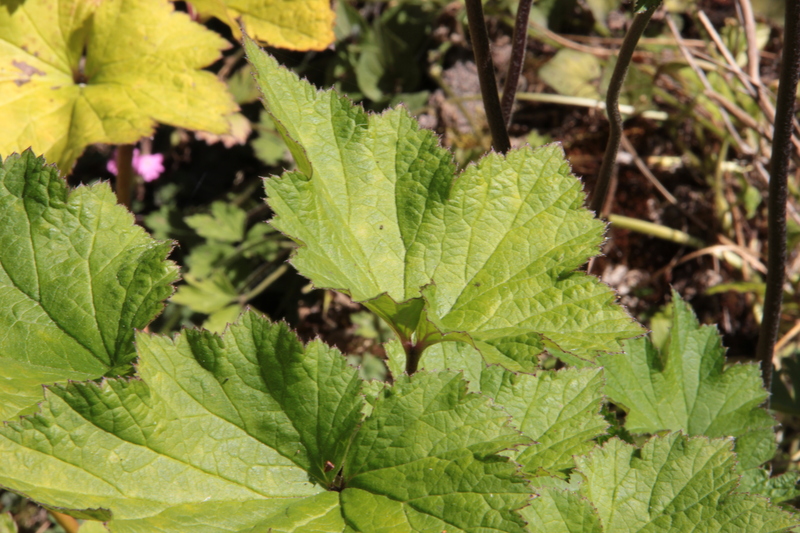 A few specimens of this large-leafed plant grow in our perennial beds. I first noticed their leaves in the spring. 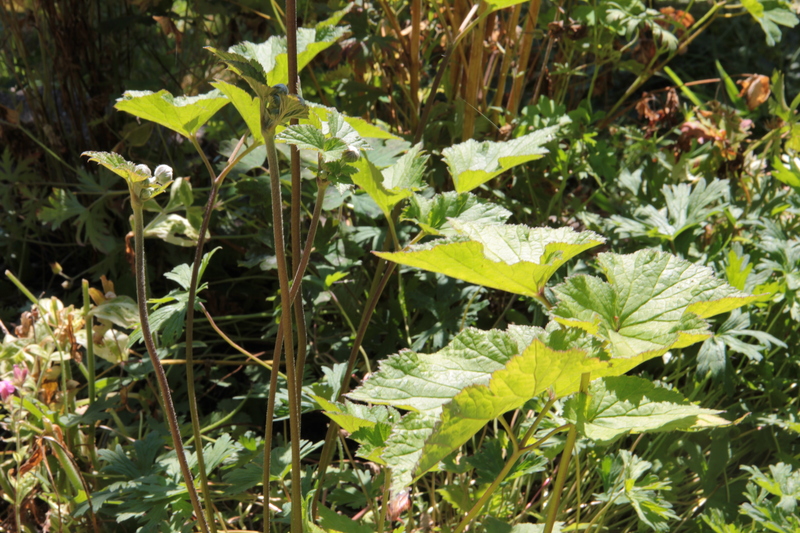 Their flowers atop thick, tall stems are now blooming! I suppose it’s possible that they’re weeds. My usual online resource for plant ID is Dave’s Garden, but I haven’t had success uploading photos onto their site this week. I’d appreciate any help naming this mystery plant. 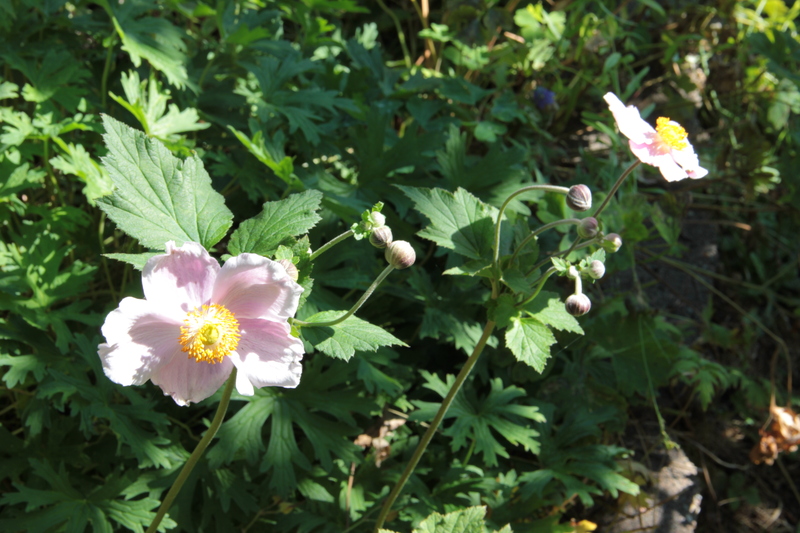 Same Day Update: One of my sisters has already identified my mystery plants as pink Japanese anemones, Anemone hupehensis. She has white anemones and says they spread like gangbusters. Perhaps I should consider these lovelies as weeds after all! We’ll see if I have the heart to dig them up after they bloom. I’m hoping they bloom all through the fall and that I might bring them indoors in soft, nodding bouquets. Thanks, Melis! I admire your brains and much more! 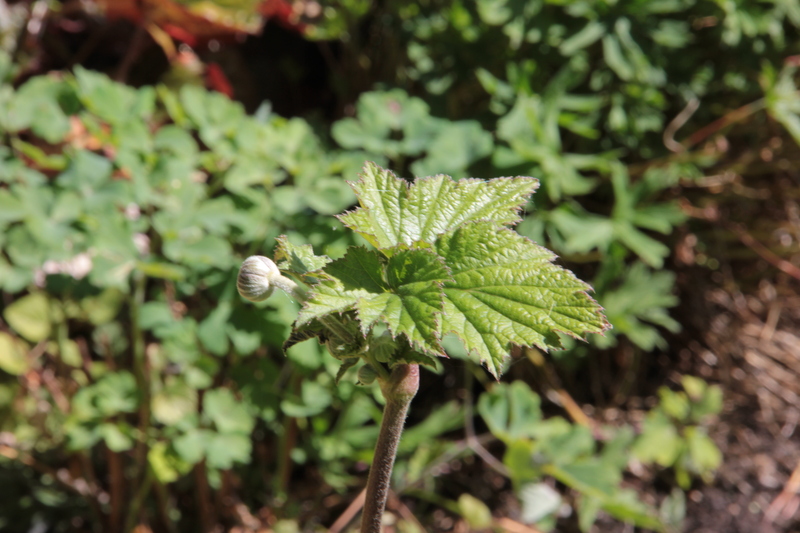 This entry was tagged gardening, Japanese anemone, mystery plant, Olympic Peninsula, plant ID, tomatoes, Washington. Bookmark the permalink.